Get to know the Salesforce APIs and learn to integrate your data. Kickstart your journey building with Integration and APIs. Deliver custom notifications within the Salesforce platform and in external apps. Sync data between a Salesforce org and a Heroku Postgres database. Create a Salesforce report, manipulate the data in Quip, and link back to Salesforce. Get started with some quick Integration and APIs-focused tutorials. Learn patterns and methodology of integrating apps on Heroku with Salesforce. Integrate with external apps using Apex REST and SOAP services. Learn how to customize, deploy, package, and upgrade application metadata with ease. Use Data Loader and the Data Import Wizard to manage data in Salesforce. In this blog post, we go through details of the UI (User Interface) API and how you can use it to build custom apps with consistent user interfaces. Form a durable core for your apps with reusable code and efficient API consumption. Avoid limits as you develop scalable apps. Dig in to the nuts and bolts of Integration and APIs with reference docs. Which API Do I Use? Salesforce provides programmatic access to your org’s information using simple, powerful, and secure application programming interfaces. This document describes strategies (in the form of patterns) for common integration scenarios. Use SOAP API to create, retrieve, update or delete records, such as accounts, leads, and custom objects. An overview of SOAP API in a handy PDF file. REST API provides a powerful, convenient, and simple Web services API for interacting with Lightning Platform. The Marketing Cloud offers two APIs that share a common authentication mechanism based on OAuth 2: the SOAP API and REST API. You can access Analytics features such as datasets, dashboards and lenses programmatically using the Analytics REST API. Use Metadata API to retrieve, deploy, create, update or delete customization information, such as custom object definitions and page layouts, for your organization. Your custom app configuration records can be packaged and deployed as easily as any other custom metadata in your app with custom metadata types. Use Streaming API to receive notifications for changes to Salesforce data that match a SOQL query you define, in a secure and scalable way. The Bulk API provides a programmatic option to quickly load your org’s data into Salesforce. Bulk API 2.0 provides a simple interface for quickly loading large amounts of data into your Salesforce org. Use Tooling API to build custom development tools or apps for Lightning Platform applications. Workbench is a powerful, web-based suite of tools designed for administrators and developers to interact with Salesforce organizations via the Force.com APIs. 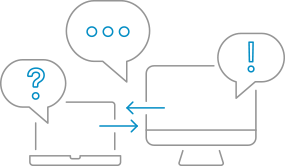 A simplified connector example to the Enterprise Messaging Platform. Level up your Integration and APIs skills with in-depth articles, videos, and other resources. The Apex Metadata API now gives developers access to metadata through Apex, making it easier than ever to develop and deliver these setup experiences. This feature is the most popular Apex idea on IdeaExchange - you won't want to miss this session! Platform Events is a native feature that, when paired with the enterprise messaging platform, enables near real-time integrations in the spirit of event-driven architecture. Learn how External Objects provide a live connection to external data sources so your data is always up to date, how you can access them the same way as Standard and Custom Objects in list views, detail pages, record feeds, Apex and Visualforce, and create relationships between External Objects and Standard or Custom Objects to seamlessly integrate legacy data. This 5-part video series walks you through all aspects of data import, from preparing your import files to matching owner and parent record IDs.